Curtis v. Lemna, an appeal heard before the Supreme Court of Arkansas, involved a claimant who was injured in a golf cart accident at a country club. Plaintiff was employed at the same company as defendant. Both employees were similarly stationed within the company, and neither was the other’s supervisor. The two men were attending a sales meeting at local golf course with representatives from their respective sales accounts. 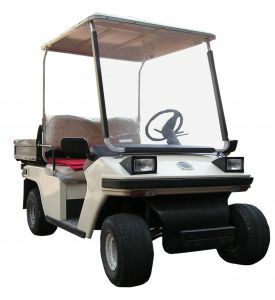 Defendant was driving a golf cart in which plaintiff was riding as a passenger when defendant lost control of the car and crashed into a retaining wall near hole six. Both men were thrown clear of the cart, and plaintiff injured his shoulder. After the accident, plaintiff filed a claim for workers’ compensation and received benefits from his employers’ insurance carrier. At this point, plaintiff filed a civil lawsuit in which he alleged that defendant’s negligence was the actual and proximate cause of his injuries. As our Boston workers’ compensation attorneys understand, an employee is normally prohibited from filing a civil lawsuit if he or she is able to recover workers’ compensation benefits after an on-the-job injury. The main exception to this rule is when the injury was caused by the negligence of a third party. Defendant filed a motion to dismiss plaintiff’s lawsuit on grounds that a civil court did not have jurisdiction over the case, because the proper forum was the state workers’ compensation commission. The trial court granted the motion to dismiss without prejudice so that the workers’ compensation commission could make a determination of whether the state act prohibited plaintiff from filing a case in the civil court under a theory of negligence. At a hearing, the administrative law judge (ALJ) for the commission determined that both men were employees of the company and that this was an on-the-job accident. Plaintiff appealed this decision. On appeal, the court addressed the issues of whether the workers’ compensation commission had jurisdiction over the case, whether the accident happened during the scope of their employment, and whether it was constitutional to apply the employer’s right to immunity from civil actions involving workplace injuries to a co-worker. The court held that the state workers’ compensation commission had exclusive original jurisdiction to make such an opinion on the issue, and jurisdiction was proper. With respect to the second issue, the court found that the accident clearly occurred in connection with the employment of plaintiff and defendant. The two men were at a sales meeting with their customers. The fact that the accident occurred at golf course and not a conference room at company headquarters did not obviate the fact this was a work-related outing. Finally, with respect to whether it was constitutional to pass the employer’s tort immunity onto a civil defendant, the court held that it has been well-settled law that this immunity can be extended to co-employees in situations such as this. This is a different scenario than when an employee is injured due to the negligence of a third party that is in no way connected with the employer.